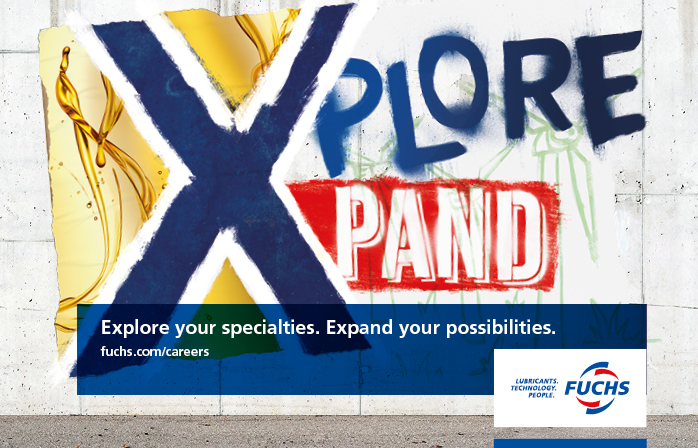 An internship at FUCHS gives you the chance to gain valuable industry knowledge and develop your professional skills. You will get to know us, and we will get to know you. Expand your practical experience and learn how to get the job done instead of just reading about it. We are looking for students with a good academic record who can demonstrate their global and intercultural mindset. You should be fluent in German and English; additional languages are a plus. If you are interested in becoming an intern at FUCHS, please indicate the time period for which you are applying and your preferred area of work. Are you studying a topic that is related to our industry in one way or another? Will you soon be writing your bachelor, master or diploma thesis? Then you are more than welcome to do so with us! At FUCHS we would be delighted to help you expand your perspective on the subject of your scientific paper. Should you be interested in writing your thesis with us, please send us a message indicating the topic and time frame. Are you looking for a long-term student job that allows you to explore business insights and gain international experience? If so, apply for a working student placement at FUCHS. It will provide you not only with an interesting way of earning money, but with real added value for your future career. Check our job vacancies and apply online.